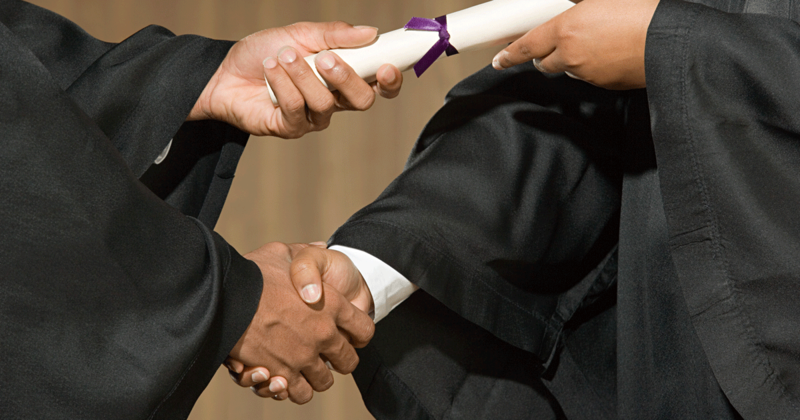 The bachelors degree premium detailed - Michigan Future Inc. 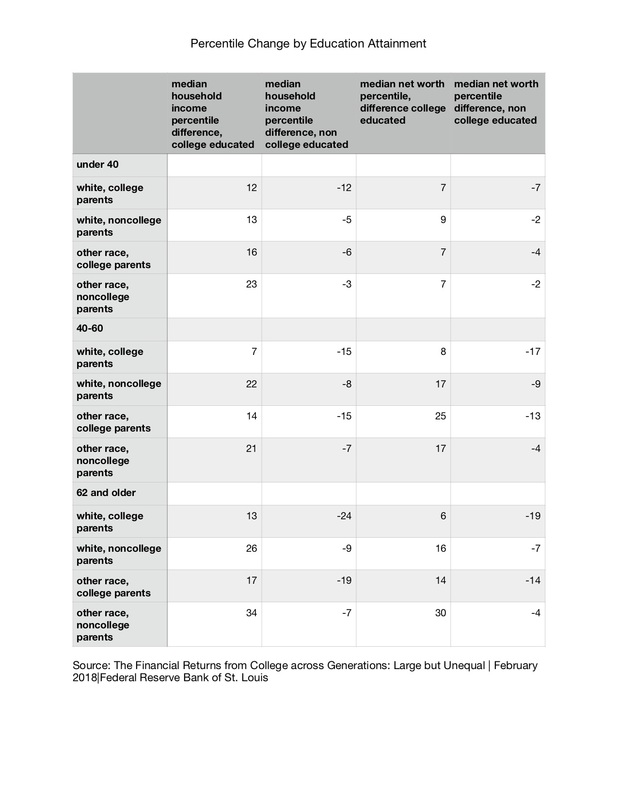 The Federal Reserve Bank of St. Louis’ report The Financial Returns from College across Generations: Large but Unequal details the bachelors degree premium irrespective of race or parents education. And that premium is substantial for all. The data come from Federal Reserve’s 2016 Survey of Consumer Finances which surveyed a nationally representative sample of 6,248 families. 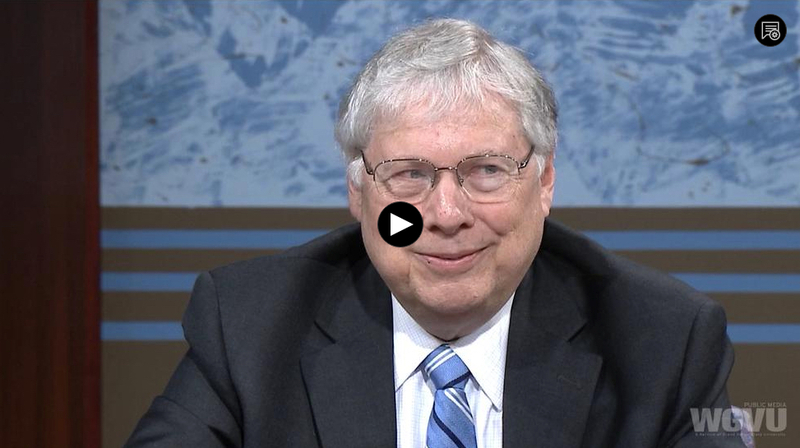 The report analyzes the contributors to family income and net worth based on respondents’ age, race, parents education (those three combined the report calls inherited characteristics) and then by whether the respondent has a four-year degree or not. The report calculates the amount of family income and net worth one earns by getting a four-year degree after taking out the income and net worth effects of one’s age, race and parents education. What is different about this data from the return on a college degree data we have looked at frequently in this blog is that it is about household income, not just income from work. So it tells us about how well off households are with at least one adult with a four-year degree or more, counting income from all sources not just work. The bottom line finding is that for every combination of age, race and parents education analyzed median family income and net worth increases for those who get four-year degrees and for those who don’t get a four-year degree it reduces median family income and net wealth. The gap between getting or not getting a four-year degree, no matter your inherited characteristics, is substantial. For example, for those between 40-61, white, with at least one parent who has a four-year degree the gap in median family income for those who earn a four-year degree compared to those who don’t is $80,000 (not a typo); the median family net worth gap is $471,000 (also not a typo). Getting a four-year degree for this cohort moves your family up 7 percentile points of all families included in the survey in income from the 80th percentile to the 87th. Not getting a four-year degree moves you down 15 percentile points, from 80th to 65th. Getting a four-year degree moves your family up 8 percentile points in net worth from 75th to 83rd. Not earning a four-year degree moves your family down 17 percentile points in net worth from the 75th to 58th percentile. Another example, for those between the ages of 40-61, non white, with neither parent with a four-year degree, the gap in family income for those who earn a four-year degree compared to those who don’t is $35,000; the net worth gap is $82,000. Getting a four-year degree for this cohort moves your family up 21 percentile points in median family income from the 40th percentile to the 61st. Not getting a four-year degree moves you down 7 percentile points, from 40th to 33rd. Getting a four-year degree moves your family up 17 percentile points in net worth from 33rd to 50th. Not earning a four-year degree moves your family down four percentile points in net worth from 33rd to 29th percentile. The table below lists the percentile change from earning a four-year degree and from not earning a four-year degree for every combination of age, race and education analyzed, where college means a bachelors degree or more. As you can see, in every cell earning a four-year degree boosts family income and net wealth. Not getting a four-year degree in every cell reduces family income and net wealth. So yes there are big advantages to being born white and for having a parent with a four-year degree no matter your race, but whether you get a four-year degree or not at the median makes a huge difference for everyone in how much annual income your family has and how much net wealth your family accumulates.